Gerald Clark was born in Toney, AL in 1965. He grew up on a 100-acre farm where he learned the value of hard work. He attended elementary, middle school and high school in Huntsville. Gerald is the seventh sibling of eight. He understands the meaning of give and take to accomplish goals. Gerald and his wife Tina were married in 1996 and together they have two boys, Phillip and William. Phillip is a 2016 graduate of Bob Jones High School. After graduation, Phillip joined the Army. He is on the path “High School to Flight School”, to become a helicopter pilot as a Warrant Officer. William attends Horizon Elementary, plays soccer and loves his model trains and pet fish. The Clarks are members of Madison Church of Christ. Gerald also has two older sons, Alex and Chevez. Alex lives in Georgia with his wife Shannon and their daughter Sadie. Chevez, a Sergeant, in the Marines lives in Oceanside, California with his wife, Chelsea and their daughters Lily and Maddie. 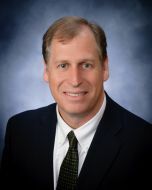 A graduate of Auburn University with a Bachelor’s Degree in Landscape Architecture and a Registered Landscape Architect, Gerald started his career at Smith Engineering in Huntsville Alabama in 1991. He started part time in the summers while attending Auburn then full time in 1992. His first project at Smith Engineering was Aldridge Creek Greenway in Huntsville. The very first Publix in Alabama, at Airport Road and Whitesburg Drive, was his first project to manage. Gerald joined Civil Solutions in 2003 where he worked his way up to become a partner before selling to Goodwyn, Mills and Cawood in 2008 currently employed at Goodwyn, Mills and Cawood as a Landscape Architect. Throughout his career, he has worked with local governments primarily with municipal and commercial projects. Along with his education and experience, he gained insight on Urban Planning, Growth and Development. Gerald plans to use his education and experience to bring economic growth to the city of Madison. For his second term, he currently serves on the Beautification-Tree Board, the Cemetery Committee, the Madison Utilities Board and the Madison Station Historic Preservation Commission and is the Council Representative to the Municipal Court Department and the Legal Department. Councilman Clark is very honored and humbled at his re-election to City Council District 6. He hopes to bring fresh new ideas to improve our city. If you have any need to contact him, do not hesitate. Together we can grow stronger for the future.